How you can help - RANA - Refugees Are Not Alone ! 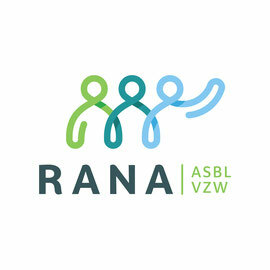 Please also note: no tax deductions are possible for transfers made in 2017 or 2018 because RANA will only get its fiscal certification as a voluntary body in 2019. If you want to give some of your time to us as a volunteer, we’d ask you to fill in this questionnaire (in English). We will then get in touch with you. Thanks to your donations, we were able to help a hundred people. Thank you from the heart ! But for now, for lack of logistical means, we no longer manage material donations (clothes, toys, etc.). We invite you to contact Solidarité Grand Froid. Please talk to others about RANA. A supporter is a person sharing RANA’s vision who can pass on our ideas or questions, but without being an active volunteer. Supporters receive the electronic newsletter. They are also invited to the Annual General Meeting, although they are not entitled to vote. If you simply want to keep up-to-date with RANA, get in touch via CONTACT to tell us that you want to receive our newsletter. You can contact us in the same way if you want to unsubscribe.